Halloween has come and gone, and although the weather hasn’t turned to wet winter days here in Northern California, there is no doubt the holiday season is upon us. In a few mere weeks the country’s retailers will know if they made money or lost money as Black Friday is just around the corner. Now I love the fact that retail teases us with great deals if for no other reason than to get us in the door to buy more stuff. Very few shoppers will land the 42” LCD Television for $198 as preparation is usually lacking. In order to get the best deals you can’t just willy nilly decide you want to take advantage of a bargain and the most important aspect to scoring those deals is to know about them well in advance. Well I have been using three app that will help you accomplish your Black Friday Shopping Goal and the best part is they are all FREE, I mean the whole point of Black Friday is to save money right? 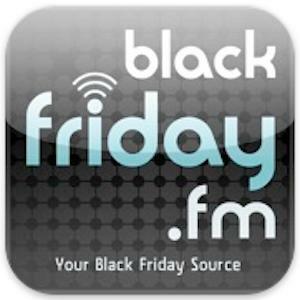 Finally, “blackfriday.fm” brings you most of the features of the first two applications but also integrates late breaking news on sales and deals. What I really like about the news tab on this app is that the visual is more like an online news source so the learning curve is very short. Scanned ads along with in app notifications make this a great app to have on your Black friday Shopping adventure. 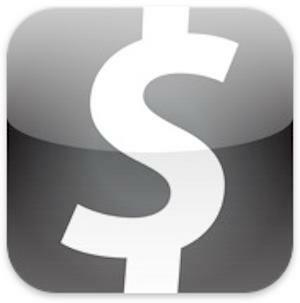 These apps are just three of the numerous free Black Friday applications that can help you get the most for your money this holiday season. 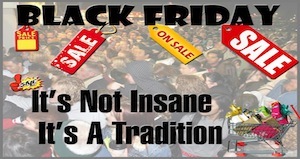 Some people call shopping on Black Friday insane, while others feel it is tradition. 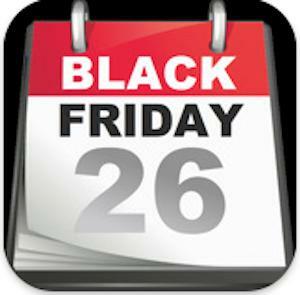 Do you shop on Black Friday or do you avoid retail at all costs? If so what deals are you hoping to score this year?